It might be late in the holiday season, but that doesn’t mean it’s too late to do nice things for the people around you. 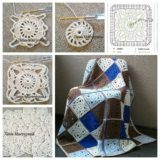 Each year, on our last day of work before we take some time off for the holidays, we make sure to make some kind of kind little trinket or favour for each of our coworkers. We know there’s no obligation to swap gifts with everyone at the office, so we keep the things we give small and inexpensive, but it brightens our own holiday spirit to see the people we’re around each day feeling appreciated. 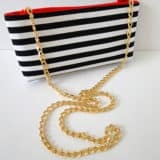 Just in case you’d like to treat your coworkers to some small gift as well but you’re intent on making it yourself, just like we always are, here are 15 awesome but easy DIY gift ideas that are perfect for the whole office! 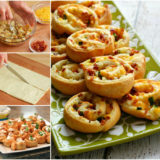 Is your office often the site of fragrant, mouth watering potlucks at every opportunity so you already know that most of your coworkers are cooking enthusiasts? 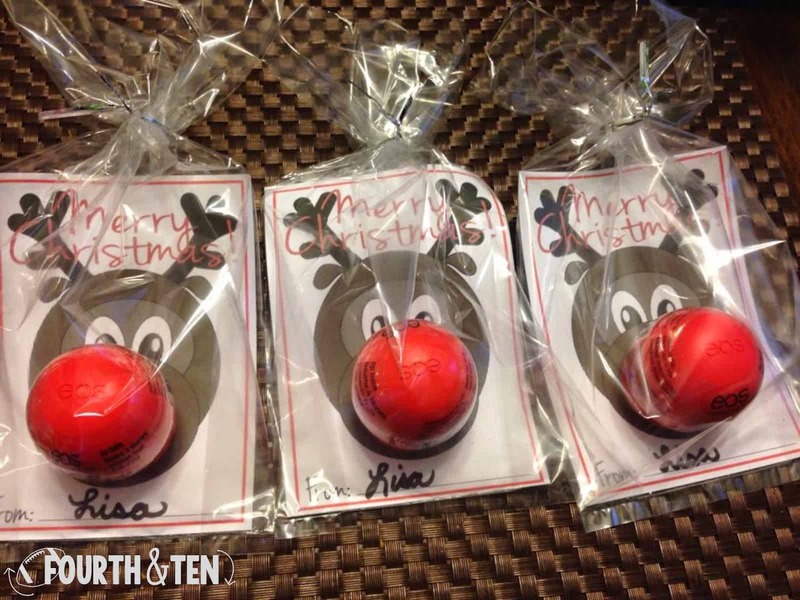 Then try making them a cute custom spice blend with a DIY recipe card! 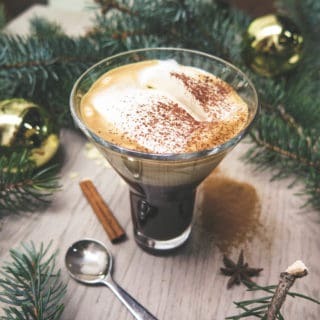 Family, Work, Life shows you a few mixes that are popular and even suggests some dishes you might give your coworkers the instructions for making so they know what kinds of things they can use the spices for too. Winter is dry and irritating to the skin, so it only makes sense that most people keep some kind of Chapstick or lip balm in their desk. 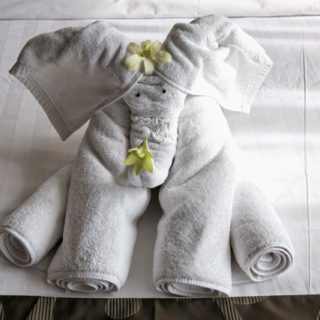 Just in case they don’t, though, or perhaps in case they need a top up, here’s an adorable Christmas gift idea from Fourth n’ Ten! 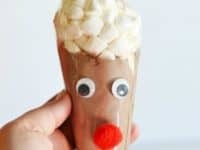 They suggest getting those popular rounded Eos lip glosses in a bright red colour and packaging them up with reindeer cards so the glosses look like Rudolph’s nose! 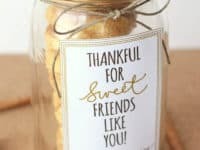 You’ve probably heard of the idea of giving people a mason jar containing all of the pre-measured ingredients to a batch of cookies they can make at home, but what if you already know that your coworkers aren’t kitchen enthusiasts? 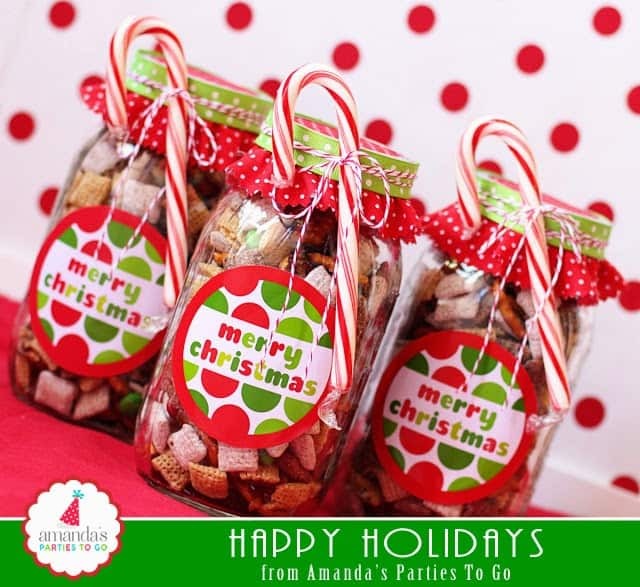 In that case, why not give them a jar of delicious holiday cookies that are already made? 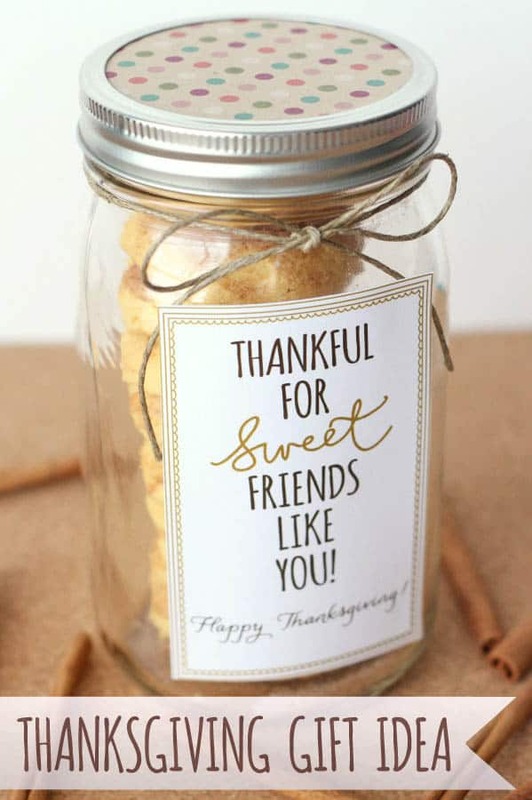 This photo from Lil Luna might list the idea as one for Thanksgiving but we actually gave our coworkers cookie jars like this last year for Christmas and they were very thankful! 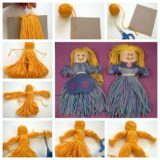 If you’re going to go to the trouble of making something for your coworkers, would you rather make them something they can use over and over again, maybe even in the office? 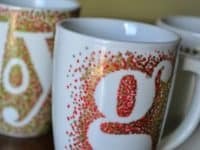 Then maybe you can try your hand at making these custom patterned monogram mugs from Glued to My Crafts! 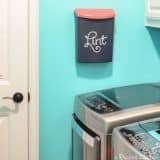 They show you how to make an awesome paint dotted stencilling technique that looks a bit like pointillist art. 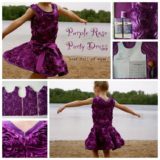 Make it in Christmas colours like red, gold, and green for the holidays! 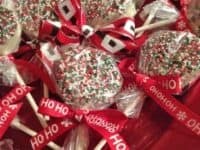 When you decided that you wanted to make your coworkers something nice for the holidays, did your mind automatically turn to making them some type of delicious holiday treat that might brighten up the day at their desk? 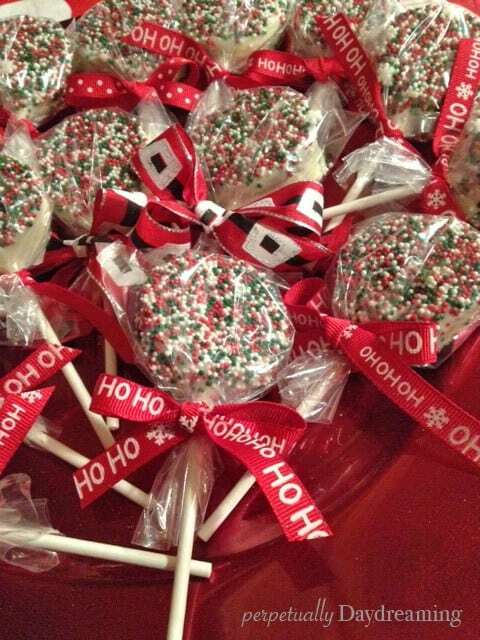 Then we’d suggest taking a look at these mouth watering chocolate and sprinkle dipped Oreo pops from Perpetually Daydreaming! 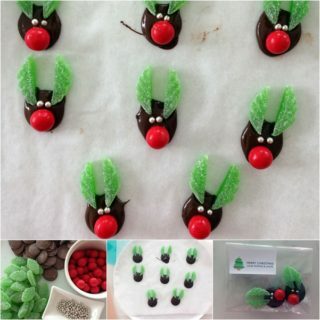 Make them with white chocolate to look like snow or milk chocolate just for the delicious taste. 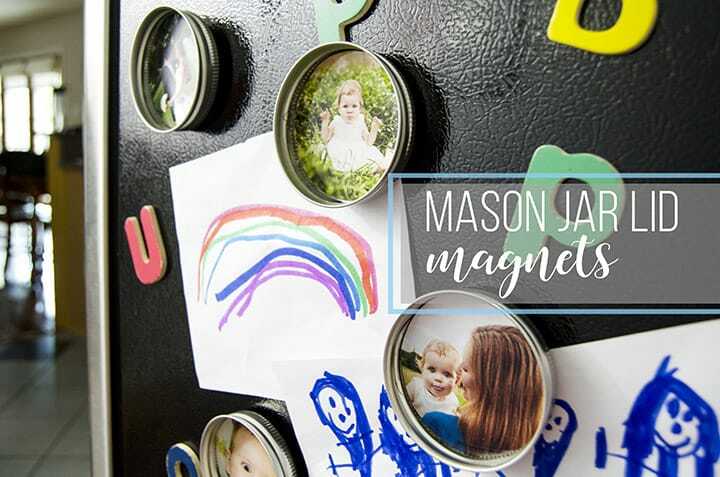 If you’re going to make a cute photo craft for your coworkers then your version might not involve quite so many family photos as the ones you see above from Unoriginal Mom, but the concept is still a totally cute idea! 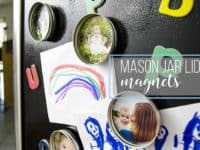 Try using mason jar lids to make magnets that feature funny comics about office life or cute quotes instead! 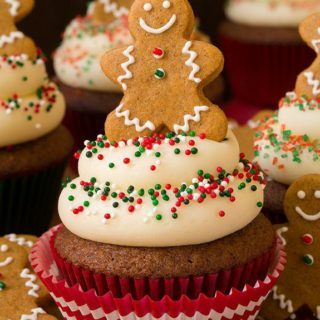 Instead of bringing an actual gift for everyone, would you rather make a treat that all of your coworkers can enjoy en masse throughout the day? 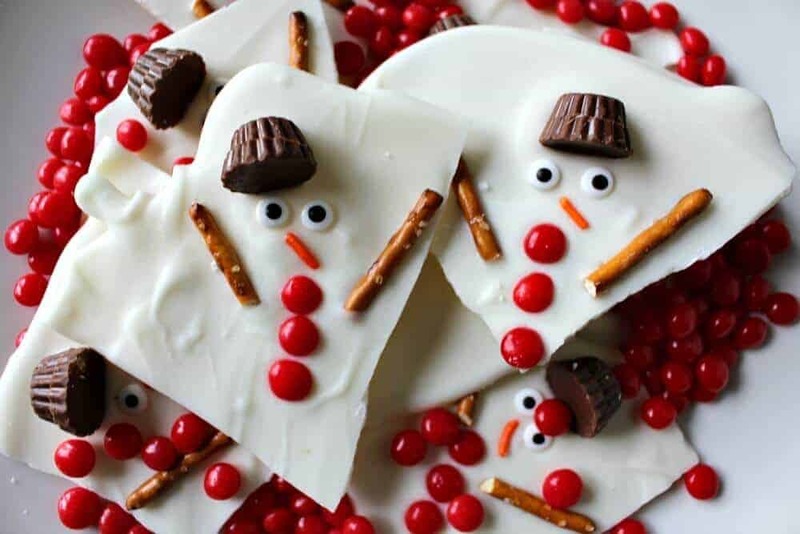 Then check out this adorably holiday themed chocolate bark from Princess Pinky Girl! 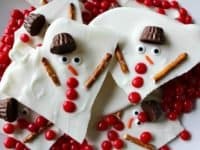 Their recipe and tutorial shows you how to make white chocolate look like melted snowmen with the help of sprinkle eyes, mini peanut butter cups, and pretzels. 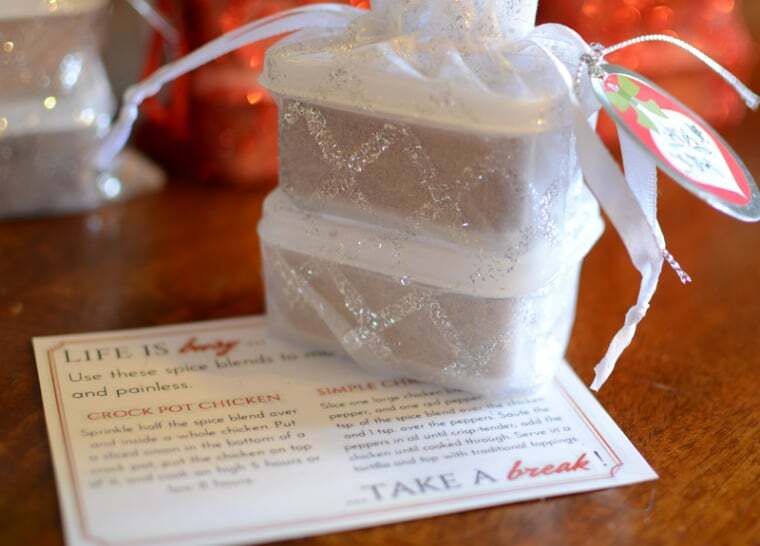 Contrary to what we said above, would you actually rather give your coworkers something they can take home and make their later, when they have time to relax and enjoy it? 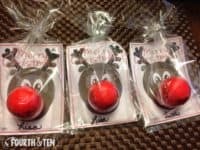 In that case, we have a feeling you’re going to love the idea of making these cute reindeer themed hot chocolate mix bags. 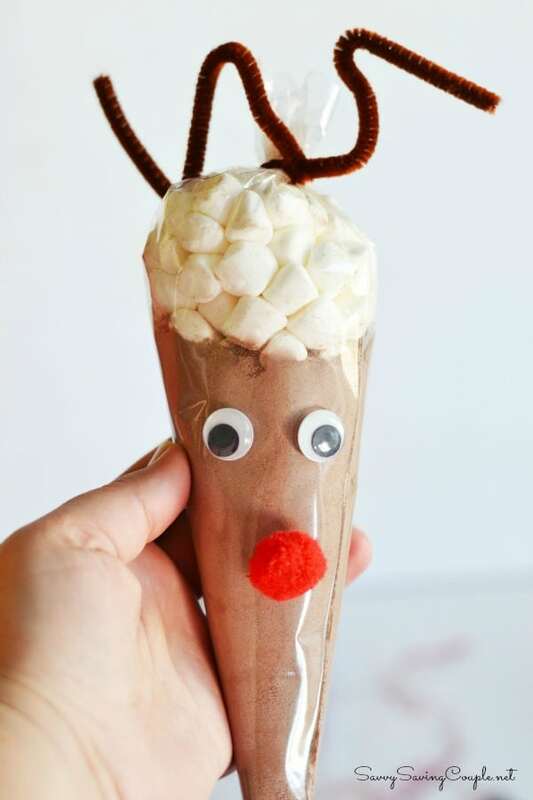 Savvy Saving Couple suggest filling cone filled bags with the cocoa mix and marshmallows, them decorating the bag to look like Rudolph. 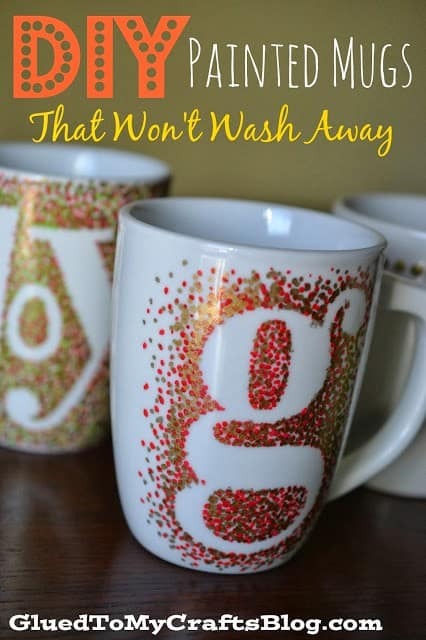 In your opinion, are the holidays the perfect time for a little bit of calming self care? Then why not share that idea with your coworkers so that you’re all a little less stressed when you return back to the office when your time off is over? 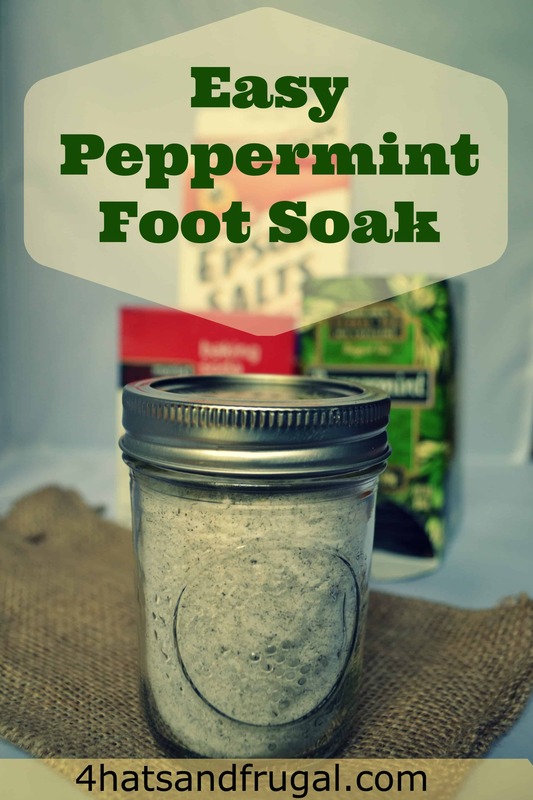 We love the idea of making a calming foot soak for each person, just like this one from Four Hats and Frugal. 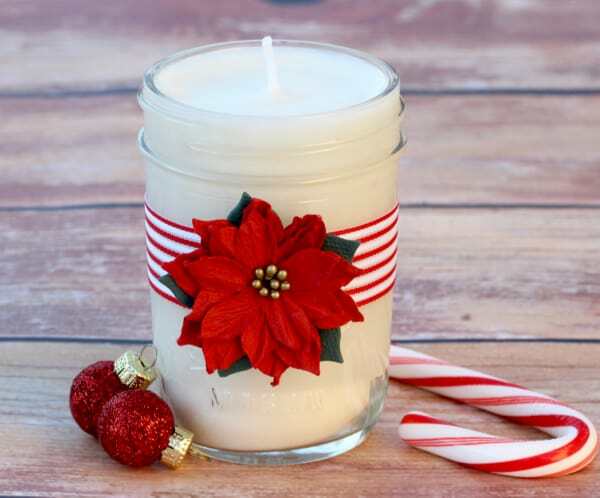 It’s peppermint scented, so it fits right into the holiday scheme of things! Has everyone in your office been falling ill lately? Well, that’s no surprise, since this time of year is infamous for germs making their way around places just like offices! 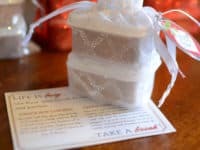 That’s why we thought this holiday customized hand sanitizer idea from Paper Jewels was such a good idea. 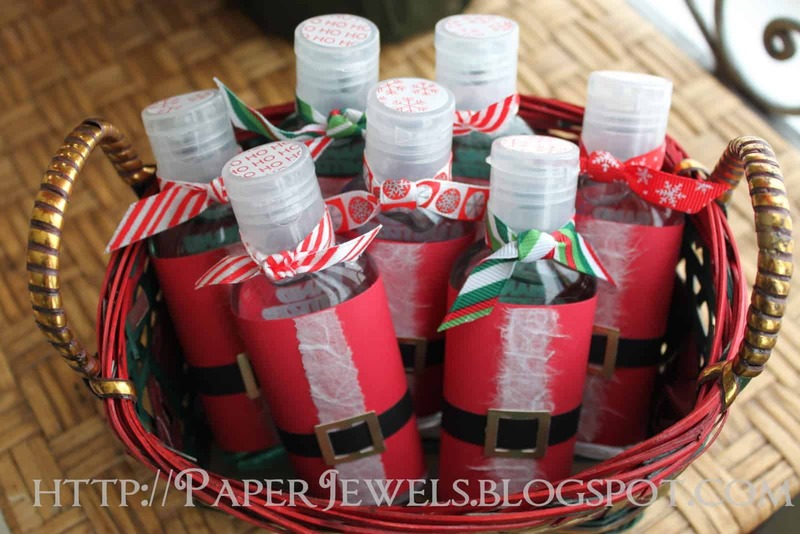 Check out how they used construction paper and ribbon to dress up little desk drawer sized bottles of hand sanitizer to look like Santa. 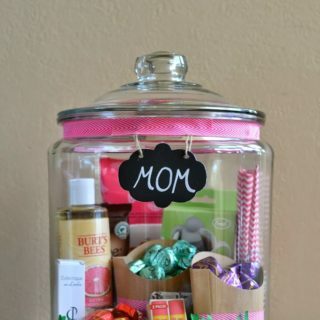 Were you completely in love with the idea of making cookie jars like the ones you saw above before you realized that your office just had a cookie themed potluck not so long ago and everyone’s probably had their fill? 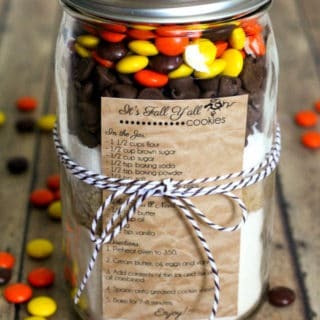 Try making another mason jar treat instead! Amanda Parker and Family guides you through the steps of making “puppy chow”, a sweet and crunchy candy kind of like cereal… but more delicious. 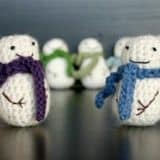 Since the holidays are a time for relaxation and self care on a few precious days off, would you rather help your coworkers make their home a calm, warm place this winter rather than just feeding them more junk food? 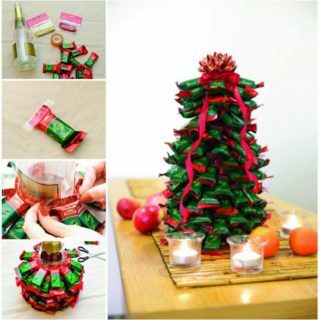 Then try making them a lovely candle instead! 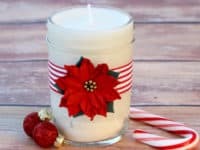 Check out how The Frugal Girls made these surprisingly simple soy candles in a jar and decorated the outside with ribbon and faux poinsettia flowers. 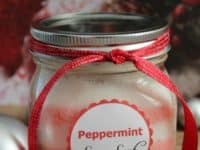 Are you still thinking about the peppermint foot scrub we talked about earlier but you think you’d rather make your coworkers something that they could use less specifically so that it actually gets used? 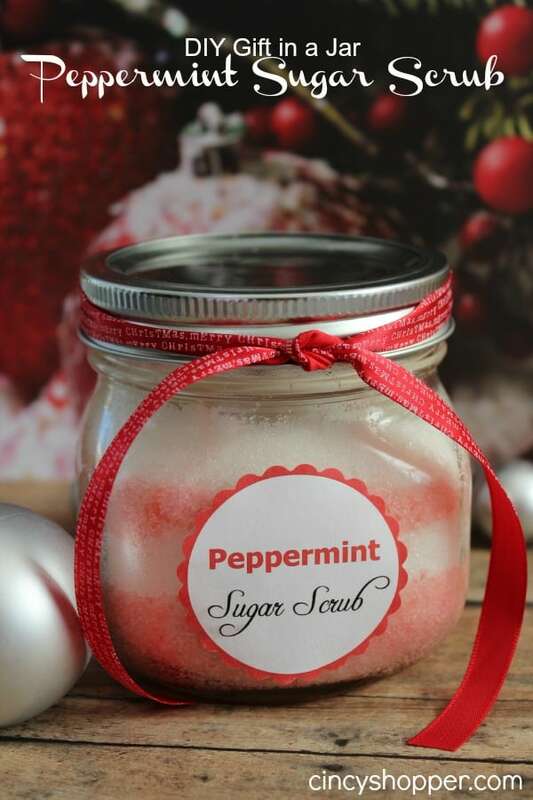 Then check out this peppermint sugar scrub recipe from Cincy Shopper instead! They might use it to help cure cracked hands or exfoliate their dry lips. 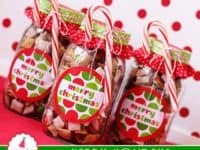 Are you actually quite strapped for time and, even though you’d love to make your coworkers a delicious holiday snack, you’re just not sure you can make it happen? 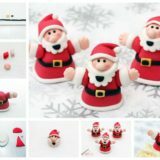 Well, why not choose a popular favourite that they can make themselves, but dress it up so at least it looks Christmas-y? 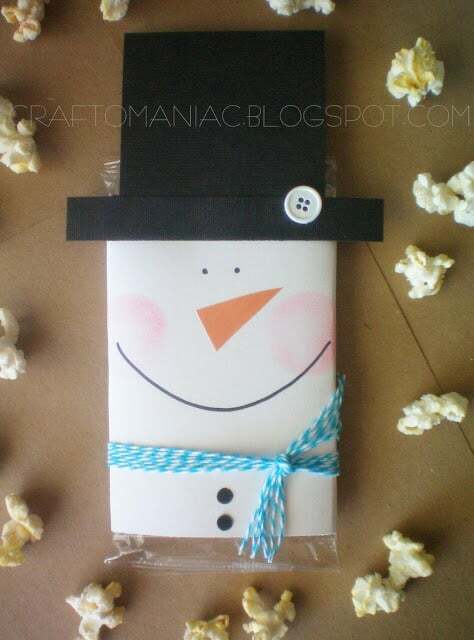 This snowman decorated popcorn idea from I Heart Naptime is the perfect example of what we mean. 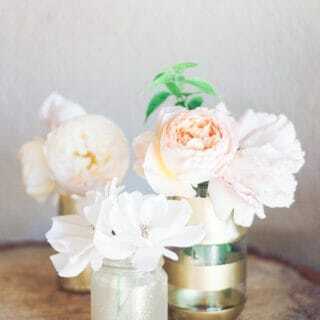 Are you actually known around the office as the DIY enthusiast who is always making cool or kitschy things? Then we had a totally novelty idea that, even though it looks a little gross, your coworkers will get a kick out of and love the taste of! 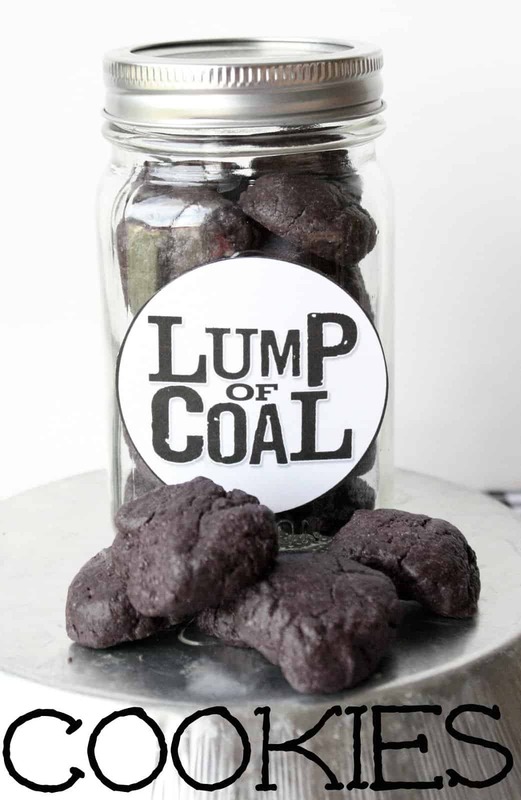 Make, Bake, Celebrate guides you through the process of making a batch of chocolate cookies that are much darker than usual so they look just like little lumps of coal. It’s the perfect holiday joke for coworkers with a good sense of humour!